Looking for the best Eco-Friendly Home Products? Are you ready to GREEN your home with our TOP 5 Eco-Friendly Home Products? Never before has it been more important to switch from disposable to reusable or biodegradable household products. Did you know there's a sea of plastic in the Pacific Ocean roughly the size of Texas? The first plastics were only invented in 1907 so the human race has been making quick work out of literally "trashing" our planet. Here at Diaper Junction we've been working diligently to add more eco-friendly products to our lineup that go beyond just cloth diapers. In this blog post we'll feature our TOP 5 Eco-Friendly Home Products! 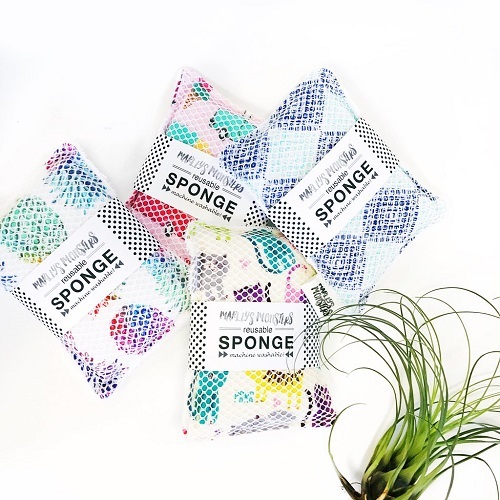 Marley's Monsters Reusable Kitchen Sponges are washable, reusable and are the perfect replacement for your eco-friendly family's disposable sponges. How to:Using a washable sponge is pretty self explanatory. Instead of tossing it like you would a disposable sponge, you sanitize it and keep on using it! These can be washed in the washing machine and even tumble dried on low. 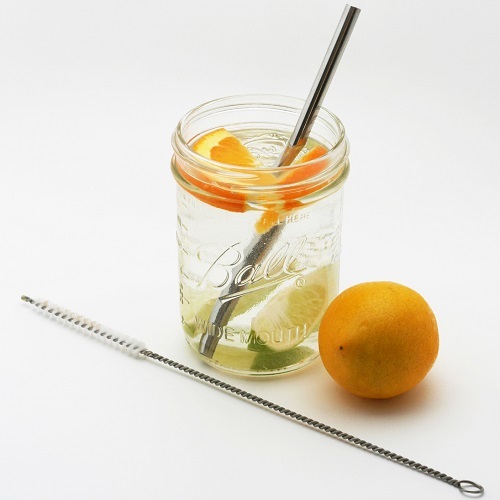 Help eliminate the 500,000,000 plastic straws Americans use every day with the U-Konserve four-pack of durable and stainless steel straws, ideal for cold drinks, birthday parties and dinner cocktails. How to: These are some of my favorites! They may seem awkward to use at first but you quickly get used to them and begin to prefer them. Wash and soak as needed and make sure to take a peek before use to see if they need cleaning inside. Often if I let mine sit too long before soaking they will need the cleaning tool to get smoothie debris out from inside them. These are dishwasher safe! 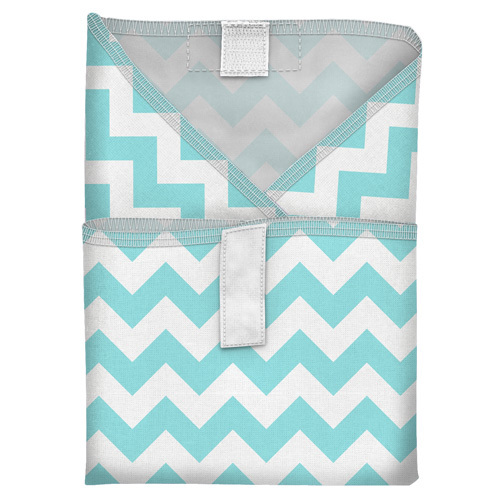 Planet Wise and UKonserve Sandwich Wraps are easy to use, washable and kids love them! These handy sandwich wraps will keep your sandwich fresh and when it is time to eat, it becomes your place mat! Made with FDA Food Safe EVA. How to use:Sandwich wraps are durable and so easy to use that even your kids can be trusted to know how to use them in their school lunches. My kids even like to show off their fancy sandwich wraps to their friends. 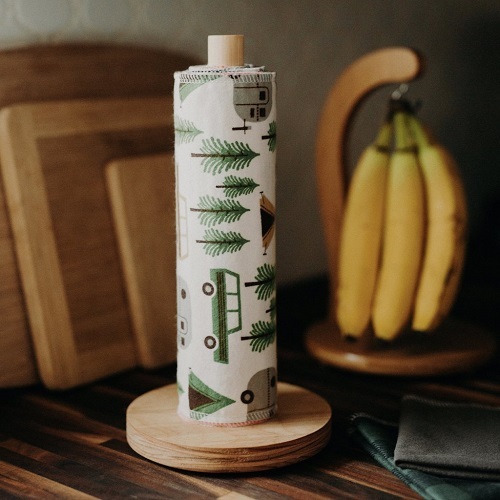 Marley's Monsters Unpaper Towels are the perfect replacement for your eco-friendly family's disposables. Absorbency is increased after the first few washes and will shrink just enough to be the perfect size for a standard paper towel roll. How to:Unpaper towels come in handy for so much and are much more versatile than actual paper towels. I keep mine folded in a bowl on the kitchen table but they look great when I roll them on our paper towel holder as well. Machine wash and reuse. It's just that simple. From cleaning to use as napkins, placemats and even dish cloths, there's no end to the uses for these. 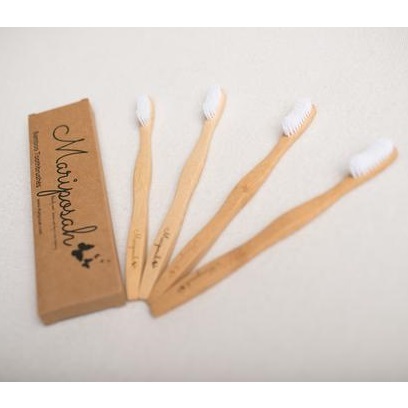 Mariposah Natural Bamboo Toothbrushes are a great eco-friendly alternative to plastics. The bamboo toothbrushes have a 100% biodegradable handle and BPA free. Their toothbrushes are made from high quality nylon for gentle yet effective cleaning, soft BPA free bristles. Plus zero waste packaging is made from recycled materials to help keep the earth green. The four pack of toothbrushes comes in a box made of recycled materials and will last a year. American Dental Association recommends you change your toothbrush every three months. Bamboo is a natural product, sustainable and plastic free. 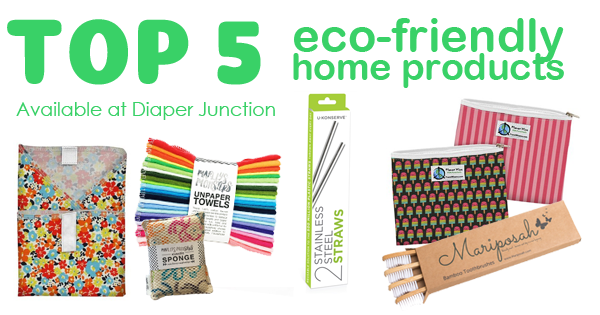 Besides the above mentioned Top 5 Eco-Friendly Home Products carried here at Diaper Junction, we also carry reusable napkins, recycled tableware and cutlery, silicone straws,food storage bags and so much more!